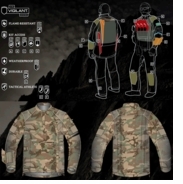 KLIM® invented the formula for creating superior technical apparel, which is designed to dominate the full spectrum of environments and situations. KLIM® carries a history and prestige of developing the most technical snow and motorcycle apparel on the market with gear that protects against the most extreme elements while enhancing the user’s experience. The KTS™ VIGILANT™ Jacket and Pant are weatherproof, flame-resistant (Optional) (no-melt, no-drip, no-fuse), extremely durable and offer operator-specific functionality that will perform as it needs to when the unpredictable occurs. There are a number of reasons to wear flame-resistant garments – from the catastrophic to the negligible and from the frequent to the unlikely; explosion, burning fuel, flame, hot gun barrels, hot vehicle exhaust, hot parts, hot shells, drying near a fire and many other day-to-day risks. Designed with a flame retardant Nomex® outer layer and a durably waterproof, windproof, and breathable GORE-TEX® fabric, the KTS™ VIGILANT™ Jacket and Pant keep the user comfortable by allowing moisture to escape from the garment. GORE-TEX® fabric maintains protection over time, even after exposure to JP-8, DEET, petroleum, oils, and lubricants. Preparing for your day brings up several questions: Will the gear fit over my body armor? If I zip up my gear how quickly will I be able to access my kit? Will my gear hold up to unpredictable circumstances? Should I sacrifice comfort or protection? Now you don’t have to choose. The KTS™ VIGILANT™ Jacket and Pant are designed from the ground up to be compatible with your body armor (specifically, a stand-alone plate carrier) and accessories while simultaneously being weatherproof and breathable. The front entry panel with magnetic closure allows quick access to center-mounted magazines while the jacket is fully zipped. The body armor gusset on the back of the jacket prevents any constriction of movement and allows room for your kit on the back of the plate carrier. Zippered entries allow access to kit on your sides and back without removing or unzipping the jacket. KLIM® gear is extensively field-tested in rain, dirt, snow and wind to ensure it exceeds the highest standards and passes GORE-TEX® quality requirements. The KTS™ VIGILANT™ Jacket and Pant are GUARANTEED TO KEEP YOU DRY® with all of your kit in place underneath. Your TTPs and physical training exist to allow you to react and respond in any situation. Your gear must support the TTPs and keep up with your activity level and the conditions in which you find yourself. 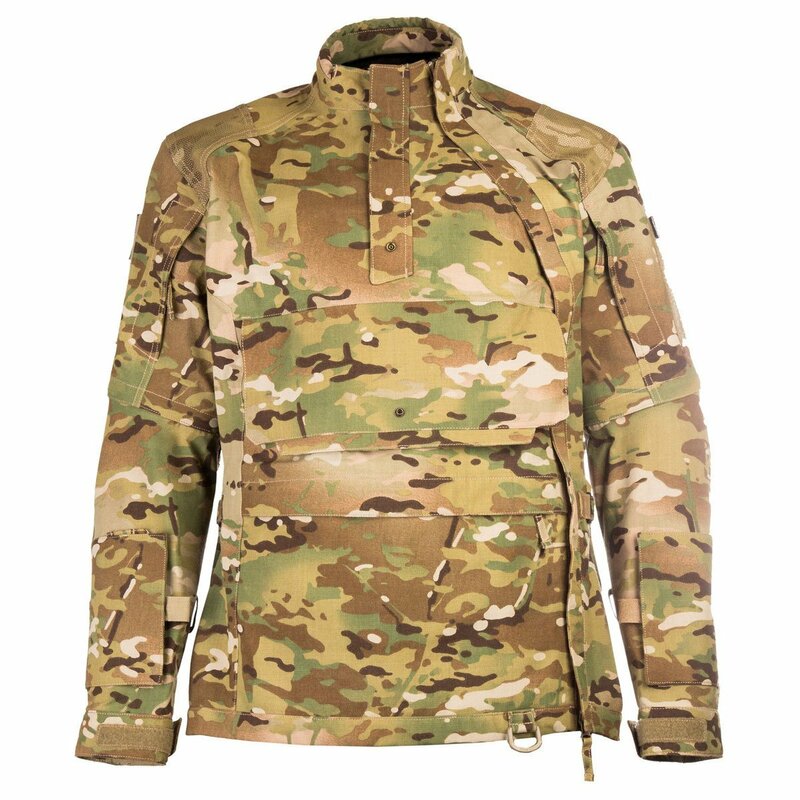 The KTS™ VIGILANT™ Jacket and Pant are heavy-duty combat-ready shells. 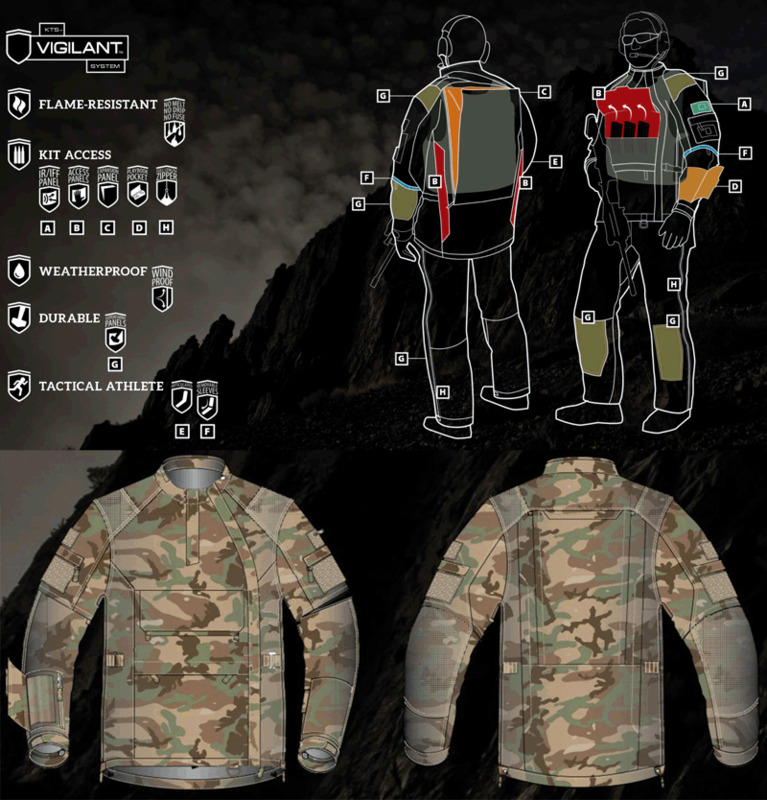 The KTS™ VIGILANT’s fit is designed for the Tactical Athlete’s body, articulated to compliment your range of motion and is constructed with Nomex® thread, bartac-reinforced stress points and Superfabric® strategically placed in high-wear areas. The entire system is machine washable and will continue to deliver through many assignments. Klim warrants *every product they make to be free of manufacturer defects for the **lifetime of the product. Additionally, all KLIM GORE-TEX® products are GUARANTEED TO KEEP YOU DRY® for the **lifetime of the product. If these products fail due to a manufacturing or material defect, Klim will repair the product without charge, or replace it at their discretion. This warranty is not transferable. ** The lifetime of a product unfortunately does not mean your lifetime. The intensity under which the product is used determines this factor. Rips, tears, cuts, punctures, burns, accidents, improper care, negligence, normal wear-and-tear, modifications, alterations or use for a purpose other than which the product designed will void the lifetime warranty of even if the warranty issue is not related to these damages. NOTE: This item drop ships directly from the manufacturer.